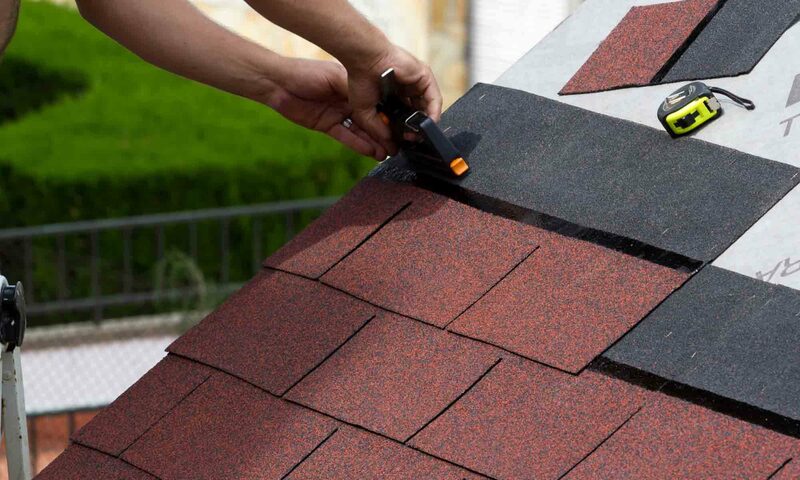 Asphalt shingles are among the very most common and popular shingles used in America today. Its first recorded use was in 1901. By 1939, eleven million squares were being produced. There are two main categories of asphalt shingles: organic and fiberglass. Fiberglass is made of a layers of wet fiberglass glued all together with urea-formaldehyde. This is coated with asphalt and mineral fillers to waterproof the shingles. Unlike the organic asphalt shingles, these fiberglass asphalt shingles is actually resistant to fires. Fiberglass asphalt shingles are also much more popular than organic asphalt shingles. Fiberglass UV ray resistant, and longer lasting than organic asphalt shingles. There are many great qualities to asphalt shingles. Asphalt shingles (both fiberglass and organic) come in several variations in size, in texture, and in colors. You can also buy shingles that have additives to them. For example, you can buy solar reflective shingles. Solar reflective shingles will benefit you because since they reflect the sun, it will not become as hot in your home. When it is not as warm in your home, you do not have to pay as much for air conditioning as you would otherwise. Therefore these shingles are energy efficient. Another type of asphalt shingle you could buy is one that is wind resistant. Wind resistant shingles are great for people who live in areas where there are more likely to be tornadoes, hurricanes, or even if it is just a little windy where you live. There are also hail resistant shingles that are more able to withstand hail damage than other asphalt shingles. Asphalt shingles should generally be used in places where there is not dramatic rises and drop in temperature in a short period of time. One thing to note is that debris and moss damages asphalt shingles. If there is moss or debris on your asphalt shingles, remove it as quickly as possible, as it is harmful to your roof. When choosing a material to roof your house with, you have to be careful to make the right decision. In most cases, some kind of asphalt material is a great one! There are pros and cons to both organic shingles and fiberglass shingles, but both are sure to make an excellent addition to your home.